Since Roman times, Capri the island of dreams has been considered to be a fascinating oasis. The fragrance of carthusia actually originated on the lovely island of Capri from the old monastery. The formulas revived in this perfume are monks found age-old formulas, which essentially developed into the current collection of fragrances. The international distribution of carthusia started in the year 2000 when four fragrances were reworked by the perfumer Laura Tonatto. These four perfumes included Mediterraneo, lo Capri, Fiori DI Capri, and Ligea La Sirena. Besides these, there are many other fragrances in carthusia, among which the recently included are caprissimo, Carthusia lady, Gelsomini de Capri, Capri forget me not, and Prima DI Teatro DI San Carlo. The fragrances of carthusia are normally combined with bitter orange and lemon along with cedar wood and hints of sea moss. This beautiful fragrance celebrates the love for flowers, sea and life. There are different and amazing fragrances of carthusia in which fiori di Capri is a fascinating perfume. This unique fragrance consists of the Mediterranean notes of wild carnation having lily and oak blended together with an enigmatic odor of sandal wood and amber. Another charming fragrance of carthusia is of corrallium, having a rare intensity as well as sensuousness with the inklings of various aromatic herbs, fragrant wood, flowers, and fruits seasoned by the sea air. This is a very refreshing fragrance, which is made to enchant. The unique collections of carthusia fragrances are distributed all around the world and due to its soft and different odor it is quite popular. The fragrance of carthusia Mediterraneo Eau de Toilette is actually dedicated to the cradle of the great civilizations of Africa, Europe, Asia, and Mediterranean. This is regarded as sunny fragrance, which blends the sharp, and the classic freshness of the lemon leaves along with the young and sparkling notes of green tea. 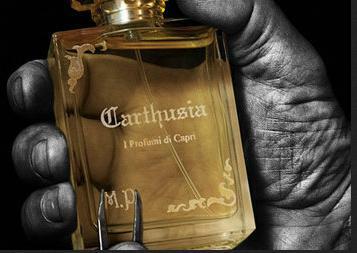 Carthusia Aria DI Capri perfume is one of the best selling and classic fragrances since decades in the Capri Island. This fragrance is mainly made with the fruity notes of peach mixed up with the flowery notes of jasmine and mimosa. In addition to the Mediterranean marine notes, this refreshing scent helps to re-create the memory of an atmosphere and the magical air of Capri. In the same way, the refined perfume of carthusia Uomo is a sheer mixture of wild rosewood and citrus that helps to produce a timeless fragrance for men. The blend of sweet raspberry and rosewood along with the sea evoking kelp produces a subtle, soft, and woody scent. The formulas for making these fragrances are quite old and almost all the preparations are made from the genuine products. All these products are of high quality and even the end product is hand wrapped. The essence deduced from rosemary picked on Monte Solaro is used normally in the manufacturing of men’s products. On the other hand, the essence derived from Capri wild carnation is used typically is women’s fragrance. The earliest edition of the carthusia fragrances was created in the year 1990, while the latest edition was created in 2013. The main mind behind all the carthusia perfumes is Laura Tonatto. Milena Mastellone is an advertising consultant from Messina and regularly writes review articles on perfume and fashion and currently owns a perfume shop.